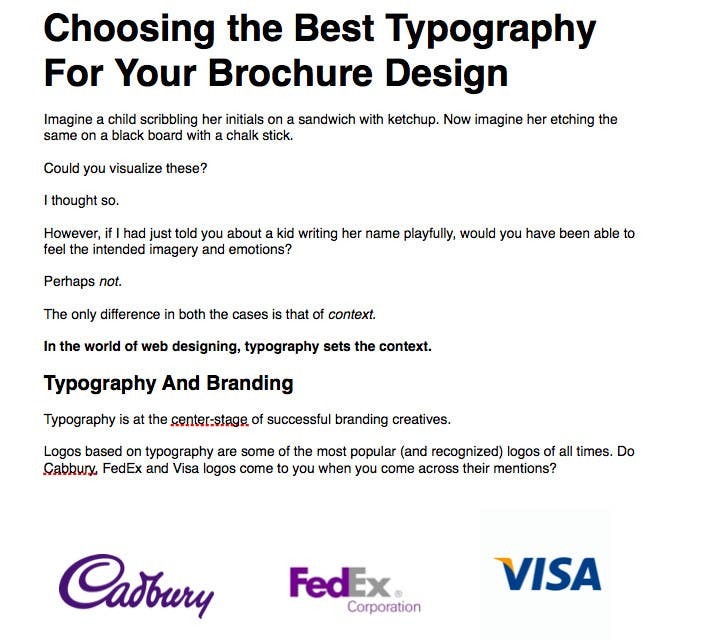 Write an article about "Choosing the Best Typography For Your Brochure Design"
Hey! Let me know what you think. I haven't given a Call to action in the end as I don't know how you plan to use this write-up. I could end it with something like "Check out our brochure design services" or something similar. Thanks. Would be great if you could rate it. I'd be happy to tweak it a bit if you'll need.